We are so excited to welcome Bob Cheevers and his acoustic guitar to Brownwood, TX. He will be preforming at The Turtle Restaurant, Dec. 2nd and 3rd at 8:00pm. Concert is just $25 or make a reservation for dinner and concert. 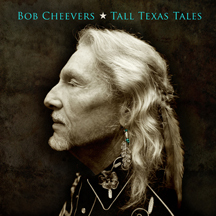 Bob was awarded Texas Music Awards Singer Song Writer of the Year for 2011. Come stay with us at Star of Texas Bed & Breakfast and enjoy a full evening of fun and relaxation.